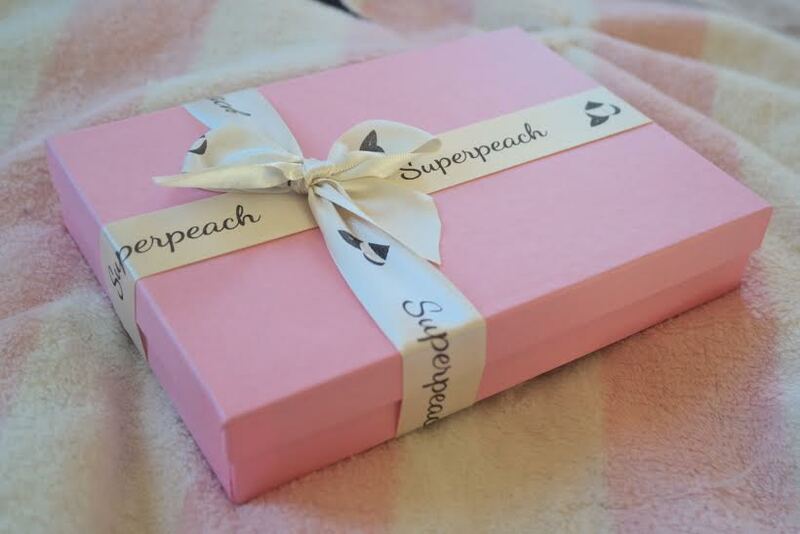 Last week, I gave you guys a sneak peek of Superpeach, choosing to show their Jennifer undies.This was such a popular hit on here and on my instagram, I am overwelmed by the positive response/feedback and I;m so excited to be sharing the other two with you as well!.Before I go into the underwear, I wanted to talk about how lovely and cute the little box is.I'm normally not a fan of pink, but this box is adorable and the lovely box ribbon around it makes it simple yet pretty.After unwrapping, there are little white petals inside, followed by (material), with the undies neatly folded underneath.I currently have a video of this being edited which you will be able to see here once its available. The heart tags that are attached to the undies are also very cute, which I've kept on my dressing table as I just love them.Anyway onto the undies! Next to the white lace panels, a floral design can be seen, and is also very pretty.The black sheer at the back keeps this simple, yet also elegant too.It amazes me on how much time that has been spent on the amount of detail on these undies so far, refelcting that; again the quality is amazing especially for the £8 which makes it even better.